As I progress within this field, I have realised there is need to not only create custom sets and figures but also to make custom accessories or you can spend your time trolling through sites like eBay until you find the item you need. 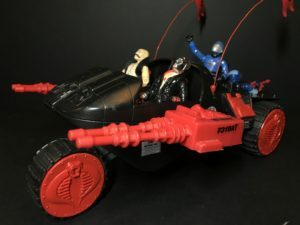 Here I will be doing projects which involve creating custom accessories, whether for a diorama/figure or even for restoring an action figure or vehicle. 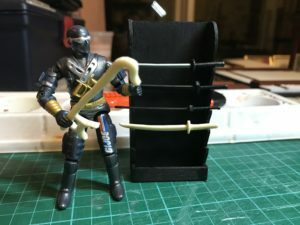 Linking this with the Gi Joe Dojo diorama. The project involves extra weapons, so why not make my own!